Mariners acquire Seth Smith; what’s not to like? Spent the day with Daveshoe up at Cafe Mox in Ballard today. Mostly we were there to play a couple of awesome board games and partake of the great food and gaming environment, but I’d be remiss to say we didn’t discuss one of our favorite topics, the Seattle Mariners. We rolled over all the remaining possibilities for the Mariners to fill their outfield needs-Brad Miller, James Jones and perhaps a trade of some kind. Seth Smith. Dropped Dave at home at 4:15, got on Ambaum headed south toward the freeway and checked my phone for messages from the missus. Lo and behold the M’s have acquired Smith from the Padres for right-handed reliever Brandon Maurer. This is a good move for the Mariners and closes the outfield hole they created when they traded away Michael Saunders. Let’s be clear about what Seth Smith is not. He isn’t an every day outfielder. He’s a guy who should make a good platoon with Justin Ruggiano. His career slash vs. left handed pitching is .205/.291/.314. His line against right handed pitching is .277/.358/.481. Smith has far more at bats against right handers than lefties and is used to the role of a platoon player. Seth Smith is not Justin Upton. Upton is an every day player who has hit 27 or more home runs every year since 2009. Smith has never hit more than 17 home runs in a big league season, and that was Colorado in 2010. However Upton has struck out more than 100 times per season since his first full season in 2008, 171 times in 2014, 26% of his plate appearances. Smith’s 2014 strikeout percentage was 16.6%. Upton had a 9.6% walk percentage, while Smith had a 13.2% ratio. Upton is a better defender and a stronger throwing arm. He’ll steal more bases. The Padres have Upton for the 2015 season only at a cost of $14.5 million. The Mariners get Smith through the 2016 season for $12.5 million with a 2017 option for $7 million. Upton is only 27 while Smith is 32. While Smith is definitely not an every day player, he is an outfielder and he is affordable. He is not a 41 year old Raul Ibanez forced to play in the outfield on a daily basis. He is not Mike Morse who should never have been stuck in the outfield in 2013. He is not Corey Hart or Logan Morrison who were imagined as right fielders by the fertile mind of Jack Zdurencik. He isn’t Brad Miller who has never played the outfield at any professional level. He isn’t Abraham Almonte pressed into a starting center-field/leadoff role because it seemed like a good idea at the time. No, Seth Smith has been an outfielder 865 major league games subtracting a few for his DH games in Oakland. He’s a guy who should make a good platoon and might give the M’s the best outfield they’ve had since at least 2009. We’ll see; they still have to play the games. I’m sorry to see Brandon Maurer go. He went through an incredible transformation when he moved to the bullpen. He could throw the crap out of the ball for an inning. He has the intimidating fastball and heart of a closer, and it wouldn’t surprise me at all to see him end up in that role. Unfortunately, you have to give up something to get something. The Mariners are awash in relievers, and the Padres had a few too many outfielders. It’s a good trade for both teams. Is it time to rescue Jesus Montero from the seventh level of hell? Christina Kahrl wrote a pair of articles for ESPN.MLB: Breakout hitters of 2015 and a similar article on pitchers. Included on the list are three former Mariners-outfielder and Blue Jay Michael Saunders; Yankee pitcher Michael Pineda, and reliever Carter Capps with the Florida Marlins. You remember these guys, right? I’ve already made my case against the angst-driven exile of Saunders to Upper Canada. Carter Capps has the all arms and legs delivery that looks like he might explode in a rain of falling limbs at any moment, and went to Florida in the trade that netted Logan Morrison. Michael Pineda was the piece that brought that paragon of hitting virtue, Jesus Montero, from New York to Seattle before the 2012 season. When Pineda left Seattle, he’d spent a year as the real deal. Went 9-10, pitched 171 innings, WHIP of 1.099, struck out 173, was number five in Rookie of the Year voting. You remember him, right? Then we kind of snickered when the 2012 season began because Pineda was found to need major reconstructive surgery on his labrum and he disappeared the 2012-13 seasons. But he magically reappeared for 76 innings in 2014 and looked every bit the new and improved beast we feared he would when he was traded. And then there is Montero. I don’t know if any Mariner has had a more embarrassing history than Jesus Montero. Hailed as the best right-handed hitter in the minors, Montero, a catcher, was from 2010-2012, rated between the #3-#7 prospect in all of basefall by both Baseball America and BaseballProspectus.com. He was a can’t miss hitter with average and power, and a few defensive warts to go along with the package. Montero has not turned out to be that player. In his one, mostly complete season with the big club, 2012, Montero hit an uninspiring .260/.298/.386 with 99 K’s to with with his 15 homers in 553 plate appearances. Though it was his first full season, it became apparent Montero’s catching ability was terrible and he would have to learn to do something else. The M’s planned on converting the Venezuelan to a first baseman, but an injury and 50 game suspension due to participation in the Biogenesis scandal destroyed 2013. When he reported to Spring Training in 2014, the big man became the really big man, reporting to Peoria 40 lbs overweight, earning the ire of Jack Zdurencik. Montero eventually played himself back into shape, having a respectable, if not superlative season with Tacoma with a .286/.350/.489 slash line and 16 homers and was the July Mariners minor-league player of the month. But his humiliation was not quite complete, Montero was involved in an incident with a scout sending him ice cream as a taunt about his weight. Montero lost his cool in front of the Everett crowd (where he was coaching/rehabbing an injury) and was suspended for the rest of the season. When Montero came to the Mariners, he was 22. Now he is 25. It seems like he should be 35. Greg Johns reported in a MLB.com story December 9th that Mariners brass were pleased with his off-season workouts. Perhaps his years in the wilderness have helped create a better Montero, aware of his limitations and understanding that he has no more chances. Perhaps there is a role on this Mariners team for a home-grown right handed hitter, able to pinch hit and spell Logan Morrison against tough lefties. Don’t dismiss Jesus Montero, because believe me he hasn’t forgotten the allure of the major leagues and he’s working to get back. Trust me, Jack Zdurencik and Lloyd McClendon haven’t forgotten him either. Are the Mariners done dealing? It’s been pretty quiet in Marinerland since they netted Justin Ruggiano from the Cubs. Are the Mariners done dealing? Should they be done? Utility dude: Willie Bloomquist, Brad Miller. These are fairly obvious choices for the major league roster, but there are some potential surprises as well. They could include inf/of Partrick Kivlehan, or 1b/3b D.J. Peterson. I’m not suggesting this list is exhaustive, or that these are guys who will make the team, but it’s likely they are the ones who get first looks. It’s clear this is the thinnest position on the team. Austin Jackson is coming off a sub-par year. We still don’t have a year of solid production from Dustin Ackley, despite his defensive improvements. It’s looking increasingly like a Justin Ruggiano/Brad Miller platoon in right, though it’s possible the front office is still trying to cook up a left handed platoon-mate for Ruggiano. I’m not a gigantic fan of the Brad Miller option. Let’s be clear, despite Andy Van Slyke’s assurances Miller is a natural in the outfield, he hasn’t played there. Yes, I know he’s an athlete and he’s left handed, but there will be adjustments to playing the field. In addition to that, Miller is coming off a less-than scintillating year at the plate. As the left handed partner, he’d also be getting the majority of the at-bats. I hope to see him get some time in the outfield, but just giving Miller 60 % of the right field at bats is a return to wishful thinking. Logan Morrison finished the year as the Mariner first baseman, where he absolutely belongs. He finished the year strong, hitting over .300 in August and September. I was all prepared to write about his need for a right-handed platoon mate, but his splits show a dramatic edge hitting left handed pitching over right-handed pitching. His slash against lefties is .333/.368/.478 but only .236/.296/.398, though 9 of his 11 home runs came against right-handers. It is conceivable the Mariners could be looking for a partner or upgrade at first, but Morrison could have a much better, healthier year than 2014. I’ve already written about the habitual lack of depth on the Mariners bench, one unlikely to deepen much because of Manager Lloyd McClendon’s predilection for a massive bullpen. With last year’s success, it’s unlikely McClendon will change strategy. However, if it’s Ruggiano/Miller in the outfield, Bloomquist as super-sub, and Sucre backing up at catcher, that leaves one more spot. The M’s could choose to carry outfielder James Jones as an extra player and late inning base-runner, or they might look for another useful bat as a role player. Maybe they’d choose to carry Stefan Romero, or perhaps they could look for more of a pinch-hitting specialist. The bench is another spot to make the team better without a lot of cost. Though the Mariners did struggle with pitching injuries last year, they managed to avoid the Tommy John plague that decimated so many staffs. They got lucky with Chris Young and Roenis Elias, and Erasmo Ramirez, though not a charter member of the Lloyd MClendon Fan Club, was able to chip in 14 starts and 75 innings. This year there will be six guys vying for five starting spots. Unless Raimirez begins the year on the big-league roster, he’ll be lost-he’s out of minor league options, and somebody will find a use for him. Last year the team started the season without Iwakuma and Walker, and Paxton joined the wounded list after a few starts. Should the Mariners seek additional depth off the scrap pile just in case? I’m not suggesting Max Scherzer or even Chris Young type depth, but maybe one of those scrap pile dudes who are trying to resurrect their career that always seem to be around for $1.95 and another shot at glory. There are not reinforcements left to call up from the minors. The Mariners have managed to give themselves a real D.H. add a pitcher and a little right-handed depth while sacrificing only Michael Saunders. We’ll see how this works out after the season is over; I’m inclined to think the Saunders trade was more about chemistry than performance. It is hard to argue the team is not improved. Most importantly, the M’s hung on to all of their young players. Matt Brazis, sent to Chicago for Ruggiano, wasn’t going to make this team. But the M’s still improved themselves while hanging on to Walker, Paxton, Miller, Taylor, Ketel Marte, Patrick Kivlehan, and D.J. Peterson as well as the best bullpen in baseball. It doesn’t mean they aren’t bullets that can’t be fired at a mid-season upgrade if they find a Miller/Ruggiano tag-team doesn’t work, or if they want to make some other improvement. Or if some of these guys show growth in Tacoma, maybe they are mid-season call-ups. The M’s may make additional moves-or they might not. But, if they don’t, the Mariners should have the pieces in place–barring major injuries–to see if the plan works. 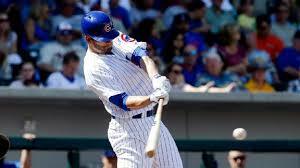 The Mariners missed out on Melky Cabrera and Alex Rios, but may have struck some gold in their trade to the Cubs for outfielder Justin Ruggiano. The M’s surrendered 25 year old right-hander, Matt Brazis, and coughed up Logan Bawcom’s spot on the 40 man roster to make room for their new acquisition. Ruggiano, 32, is capable of playing all the outfield spots. He’s a right handed hitter with a 281/.337/.429 slash, but against left handed pitchers he was .305/.333/.512 in 2014. Defensive metrics don’t love him, but they are inconsistent from year to year,so it’s difficult to tell how strong he’ll be in the field. To get Ruggiano the M’s surrendered 25-year old right-hander Matt Brazis, the team’s Reliever of the Year, though he has not pitched above high-A level. Ruggiano also swallowed Logan Bawcom’s spot on the 40 man roster. Bawcom came over from the Dodgers in the Brandon League trade, and struggled in Tacoma last year. Ruggiano is going to be 33 and struggled with his health last year. In baseball parlance, Ruggiano is in decline. Is he the full time outfielder the M’s would have liked to have? Probably not. He’ll likely compete for the right field job, but all indications are that he’ll play primarily against left-handers. Suggestions are the Mariners may be looking for a left-handed platoon partner. 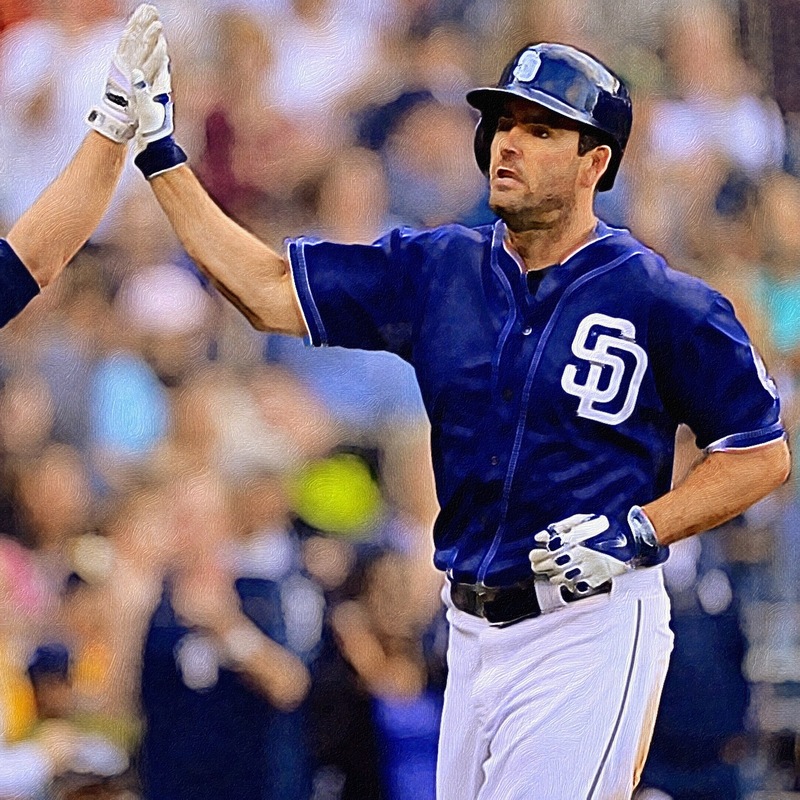 The Padres’ Seth Smith may be available with their acquisitions of Matt Kemp and Wil Myers. But there are complications if the Mariners decide to create a platoon. Assuming these are your everyday players, with a spot for a reserve catcher, you’re up to 22 players. Utility guy Willie Bloomquist has one more year under contract. If they carry Taylor or Miller, whoever doesn’t get the starting nod, that’s 24. They have a spot for one more player, unless Lloyd decides to cut the bullpen down by an arm. That doesn’t seem likely. It means no spot for a platoon partner for Logan Morrison, or a pinch-hitter off the bench. The M’s could still add Justin Upton or another player to be an everyday guy, with Ruggiano slotted in as a fourth outfielder. Or they could look at acquiring somebody like Seth Smith as a platoon partner. If the M’s aren’t interested or able to acquire the player they want for the price they are willing to pay, they could look internally. Some ink was spilled on the conversion of Miller to a utility guy. According to Lloyd McClendon on Shannon Drayer’s blog, Outfield coach Andy Van Slyke worked him out in the outfield and referred to him as a “natural.” James Jones is another potential partner, though it seems to me he could use more seasoning. If the Mariners do nothing, it doesn’t prohibit them from making a move later in the year. The Ruggiano move was a low cost addition to the team that wants to be more effective against left-handed pitching. It lessens the likelihood we see much of Nelson Cruz in the outfield (one of my huge fears.) But, it’s not the end of the outfield conversation, but he is definitely a useful piece. MLBTradeRumors shared a tweet by USA Today’s Bob Nightengale stating the Padres are mulling over Kemp’s physical results indicating arthritis in both hips. Good call Mariners to avoid the train wreck that will be Kemp’s future career. Can’t wait NOT to have him roaming the outfield at Safeco Field. With Michael Saunders gone, what may come next. Yesterday (Dec. 3rd) at noon the Mariners had a lot to cheer. They had a ceremony to celebrate the $100 million contract extension for Kyle Seager. That was 48 hours after getting their coveted right-handed slugger, Nelson Cruz, presumably to fill the barren designated hitter role. Yesterday at noon the Mariners had few needs. Some pitching depth and legitimate fourth outfielder was all that was needed. But yesterday they dealt away Michael Saunders, their best outfielder, for a pitcher who may or may not break into their starting five. Presumably this is to pave the way for a highly desired right-handed outfielder with thump to balance out the M’s lineup. I’ve already expressed my views on Saunders. Defensive metrics show him to be an above average defender. Last year’s offensive statistics were the best of his career. Saunders offered a mix of power and speed and, assuming good health, he was an ideal player for Safeco Field. Kick in the fact that his arbitration value is projected at about $3.5 million and he’s an affordable option. The only question is his health. At this point the M’s are now forced to find two outfielders. They’ve been linked to every big name in the baseball. the ones that continue to occur are Matt Kemp, Justin Upton, Melky Cabrera and Yoenis Cespedes. Even some little ones, like Jonny Gomes. These guys all have two things in common. The first is they are all right-handed. The second is they are all poor defenders. Matt Kemp was a UZR/150 -40.3 in lf, -33.8 in CF, and -25,8 in right field. That’s the trifecta of terrible defense. Justin Upton was better with a UZR/150 of -1.1 in left field. However, Upton’s numbers in right field in 2012-13 were less good at -2.9 and -5.2 respectively. Melky Cabrera was also below average. His UZR/150 was a -4.8 in LF for the Jays in 2014 after a -14.8 the previous year. Yoenis Cespedes finished the year with a UZR of an excellent 11.4, but mostly on the strength of his powerful, accurate arm. His range factor was below average at -2.1. His range historically has been poor. Jonny Gomes primarily played LF for the Red Sox in 2014, and performed historically with a -13.8 rating. Bad defense isn’t just, “Aw, gee I dropped the ball.” It’s limited range, balls not caught and innings extended. We saw how different last year’s pitching staff was from 2013 with a defense that was about average. Perhaps it’s worth it to trade a little defense for power . Tony Blengino, a former statistician in the Mariners front office thinks right-handed power is overrated in Safeco Field. Writing in response to the signing of Nelson Cruz, Blengino asserts Safeco Field remains the most offense suppressing ballpark in the major leagues despite moving the fences for the 2013 season. It is particularly acute for right-handers. It’s that outlier, way over there; the only park to have single, double, triple and homer park factors all below 100 last season. Only Safeco and Turner Field had double and homer park factors below 90; Turner’s singles park factor of 108, the highest in the game, was a mitigating factor in Atlanta’s park effects. Unlike every other park in baseball, there is simply no area of vulnerability at Safeco . . .
Each of the previously mentioned candidates has some additional concerns attached to them. 2014 was Kemp’s first healthy year since 2011. Though his 25 home run and .287/.346/.506 slash line are intriguing, his 145 strikeouts (especially combined with Cruz’s 140) are not. Kemp is owed more than $100 million remaining on the five years left on his contract. He has not hit in the American League. It will likely take a trade of Taijuan Walker to get him. Justin Upton hit .29 home runs with a .270/.342/.491 slash line. Upton struck out 171 times. I can feel the wind in Puyallup. Like Kemp, Upton has not played in the AL, and he has less time to figure it out with only one year left on his $14.5 million deal. Like Kemp, it would likely take Walker to pry him loose from Atlanta. Melky Cabrera is a switch hitter with a minor split discrepancy favoring his right side. Hie hit 16 home runs with a .301/.351/.458 slash. Cabrera is a free agent and received a qualifying offer from the Blue Jays. If Cabrera signs with the Mariners the team will lose its second round draft pick, having already used its first round pick to sign Cruz. Steve Adams at MLBTradeRumors projected Cabrera to sign for five years $66.2 million. Jonny Gomes played an undistinguished season for Boston and Oakland. His slash for 2014 was .234/.327/.330, well below his career numbers. It’s difficult to see how his numbers offer an upgrade over Saunders. If the Mariners are all in for contention in 2015 they will add one and likely two outfielders. The M’s won 87 games last year because their average outfield defense supported their excellent pitching staff. It seems Zdurencik may be chucking that model in favor of offense that may not be as effective in Seattle’s extreme ballpark. It’s a gamble that may work, but it may not. Regardless, it will likely come at a cost that will make winning a playoff spot more difficult than if they had kept Michael Saunders. On its face, this seems like a bad trade. To begin with, this completely unsettles the Mariners outfield. Saunders is a plus defender in left and right, and could fill in as a center fielder. Saunders finished the year with a respectable .273/.341/.450 slash and an OPS+ of 128. He’s widely viewed as a toolsy player, with some power and speed and a good throwing arm. Of course, the knock on Saunders is he can’t stay on the field. 78 games in 2014 followed 132 games in 2013, when he was rendered ineffective by a shoulder injury. The season ended with bad blood between GM Jack Zdurencik and Saunders’ agent over whether the outfielder was doing enough in the offseason to stay on the field. It seemed a trade was writ months ago. Moving past the poor employee relations, and that Saunders was likely to be traded, was this a good deal? Happ is an interesting addition to the team. 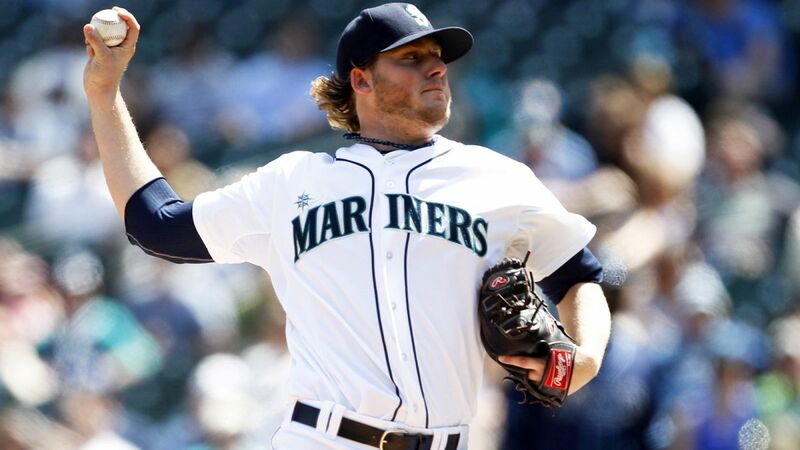 But it seems unlikely that he has a shot at breaking into a rotation featuring Felix Hernandez, Hisashi Iwakuma, James Paxton, Taijuan Walker, and Roenis Elias. At age 32 if Happ hasn’t become more than he is, he’s unlikely to be much more than last year’s 93 ERA+. It seems like a lot to give for what they got in return. More likely, this is a precursor of another move. The M’s need an outfielder, and they’ll be dealing for one. The only available free agent is Melky Cabrera and perhaps they’re considering hiring the Melk Man. Or perhaps the outfield move includes a trade that involves Taijuan Walker and they’ll need that extra arm. Make no mistake, the team was going to have to acquire some pitching depth in any case, but this does seem an odd way to get it, when there are so many second and third tier arms available on the market. I liked Michael Saunders. 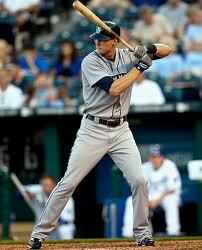 He was the Mariners best outfielder. His crime seemed to be that he was injured in the line of duty and that he was left handed. If he was traded for Happ as a prelude to trading away Mariners pitching, this doesn’t really inspire me. Happ is not as good as Walker or Roenis. If Happ is merely pitching depth then hopefully Zdurencik has a hard time looking himself in the mirror. Logan Davis at Lookout Landing offers this perspective. The incomparable Jeff Sullivan at Fangraphs offers a different view. Cruz recently turned 34. The last right handed thumper the Mariners hand was Richie Sexson. He fell off the cliff in 2007 at age 32. His last game was at 33 years old. 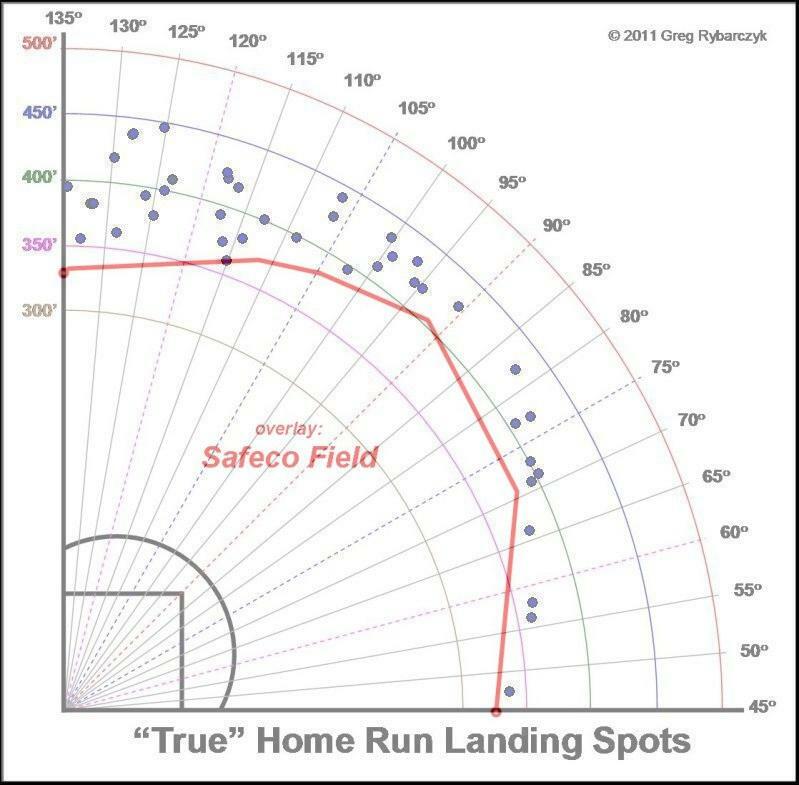 The home run tracker below shows Nelson Cruz can muscle the ball out of Safeco Field. But does he have enough psionic ability to break the Safeco Field curse on right handers? Can Cruz catch a salmon tossed at Pike Place Fish Market with a bit more alacrity than he did in the outfield? Though it’s likely he’ll make occasional forays to the outfield (just to keep his hand in) we’ll all be happier seeing his name in the DH spot. Last February Robinson Cano lobbied the Mariners to sign Nelson Cruz. “I wish we had Nelson here,” said Cano. Do you suppose he’s chipping in for his buy-out fund for years three and four? Does signing Nelson Cruz for a pile of cash beat the idea of trading Taijuan Walker for Justin Upton, Evan Gattis, Matt Kemp or Yoenis Cespedes? You bet it does.